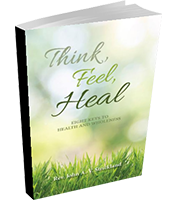 Access a FREE sample of Think, Feel, Heal. Get the Eight Keys to Health and Wholeness. Rev. John A. V. Strickland, an Atlanta, Georgia, native, graduated from Georgia State University in 1974, with a bachelor’s degree in mathematics and minors in philosophy and psychology. © 2018 Think, Feel, Heal. All Rights Reserved.